Home BUSINESS NO MONEY! How these elections are hurting businesses, economy. NO MONEY! How these elections are hurting businesses, economy. Majority of you will agree with me that the Kenyan economy has typically slowed down and has started experiencing some election jitters. The vitriolic presidential campaigns and the rising political temperature has driven consumers to pull a blanket over their heads and the business community getting concerned. Since the ruling by the Supreme Court seven days ago, the Nairobi Securities Exchange has lost close to KES. 160 billion in paper money. 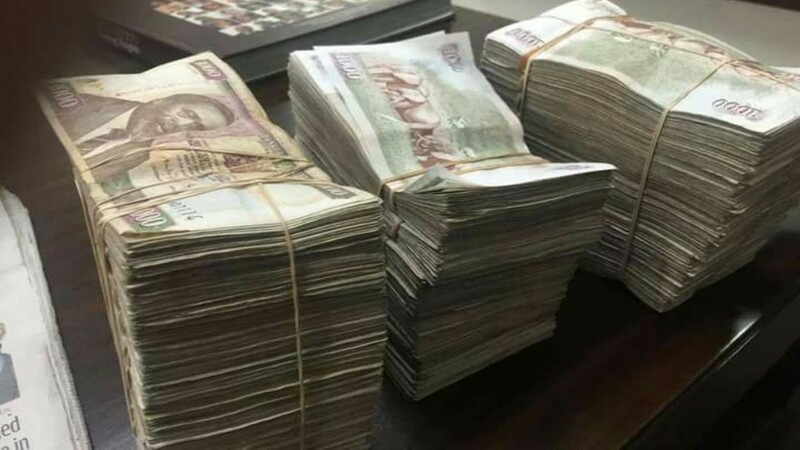 The Kenya National Chamber of Commerce and Industry (KNCCI) has reckoned that the economy has shed between 0.2 to 0.3% this year due to politics. Though this situation has been aggravated by low loan uptake due to the interest rates capping law, the current economic sluggishness can be explained at least partly by election mania with consumers being more cautious – a dynamic that has weighed on important consumer spending metrics. The elections and the subsequent tension that has built across the country has affected business operations, more so weighing heavily on purchases and on hiring of human resource especially for the small and middle level enterprises. Financial and business experts would agree that any election year brings with it a sense of uncertainty for many business owners are hesitant to make decisions affecting long-term investment during such an ambiguous time. This is because investors can make decisions based on what they read and hear in the news. Depending on their expectations of how the election will unfold, they can drive the markets up or down. One common concern among the people is the fear that the country might plunge back to post election violence as witnessed in 2007-8. The political tone that the country is being treated to is generating negativity and even fear with the focus on politics distracting consumers from making any major investment commitments. People are nervous and consumer spending is restrained. Companies have been reluctant to spend big money thus dragging down broader our economic growth. Majority of the companies have postponed major investment decisions until after the election… just in case. The stark differences in President Uhuru Kenyatta’s and NASA leaders Raila Odinga’s approaches to issues of national concern have raised the potential for sweeping changes that could fundamentally alter the way the country does business. This has created uncertainty about the direction of the economy, an issue that consistently ranks among voters’ top concerns. Thus, many companies are simply sitting tight and we do not expect things to pick up until after the dust settles in November or probably in December. Right now, there is little hope for a surge in the small business sector anytime soon. Uncertainty is high, expectations for better business conditions are low, and future business investments look weak. The Kenyan consumer is also growing weary of opening their wallets. Citizens feel uncertain about whether there will be a change of personnel in the country’s leadership and the policy changes that could be in store for the country thereafter. Elections are just one in a series of speed bumps that threaten to throw the country’s economic recovery off course. The politics of hate, isolationism and protectionism tend to diminish growth, triggering recessions or worse. All that notwithstanding, Kenyans care about their money, the stability of the financial markets where they invest their money and the security of their jobs, all of which are directly linked to the economy. Kenyans just want all this politicking over and done so that they can resume back to business.